If you or someone you know was recently involved in a car accident in Las Vegas or anywhere else in the state of Nevada due to the fault of another, you are likely injured and uncertain of what to do next. You are also likely facing time away from work, which means the paychecks upon which you and your family depend are no longer coming. Many people are under the mistaken impression that if they were not at fault for the car accident, there should be no issue seeking and getting a fair settlement from the auto insurance company. Unfortunately, this is often not the case, and Las Vegas accident victims typically have to fight for the monetary compensation to which they are entitled. National car insurance companies commonly record big profits year after year; paying out big settlements to victims after accidents is not generally part of their business model. Therefore, car insurance companies rely on their sophisticated legal teams and adjusters to find ways to reduce or even avoid paying otherwise valid car accident claims. More often than not, valid Las Vegas car accident claims are denied because the victims inadvertently and unknowingly make mistakes that harm their case. Filing a personal injury claim may seem simple on its face, but it is actually quite complicated and unfamiliar for most people. For this reason, victims often unknowingly make mistakes when filing their claims for compensation. To make things worse, the car insurance companies may use these mistakes against the victims as grounds to reduce payment or deny the claims all together. Below are three major mistakes that most people make in their car accident claims and how to avoid them. Taking the first offer: while a car insurance company may offer you money shortly after the crash, understand that this settlement will likely not cover the totality of your accident-related expenses. Should you accept the initial offer, you will likely be unable to pursue additional damages later. With years of experience fighting for the rights of injured victims in Las Vegas and across the state of Nevada, we know what it takes to build a strong case and push against the car insurance companies’ tactics. If you or a loved one suffered injuries in a Nevada car accident due to the fault of another, do not try to do this alone. 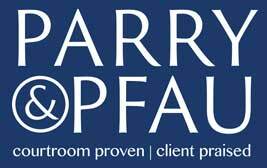 Contact Parry & Pfau today for your initial case evaluation. Newer PostIs it Legal to Buy Alcohol Before Noon? Older PostHow Long Should I Wait to File a Personal Injury Claim in Nevada?